Can a radically open culture help Facebook catch up to Google and Microsoft–and build the world’s most powerful ad platform? A sign on the wall at the company’s New York office perfectly sums up the approach Yann LeCun brings to his leadership of Facebook’s nascent efforts in the field of artificial intelligence and machine learning: “Always be Open.” Artificial intelligence has become a vital part of scaling Facebook. It’s already being used to recognize the faces of your friends in photographs, and curate your newsfeed. DeepText, an engine for reading text that was unveiled last week, can understand “with near-human accuracy” the content in thousands of posts per second, in more than 20 different languages. Soon, the text will be translated into a dozen different languages, automatically. Facebook is working on recognizing your voice and identifying people inside of videos so that you can fast forward to the moment when your friend walks into view. Facebook wants to dominate in AI and machine learning, just as it already does in social networking and instant messaging. The company has hired more than 150 people devoted solely to the field, and says it’s tripled its investment in processing power for research—though it won’t say how much that investment is. Yet Facebook, which only seriously entered the field less than three years ago, will need more than money to compete, since it’s one of technology’s hottest fields right now. “They were a late comer,” says Pedro Domingos, a professor of computer science at the University of Washington and the author of The Master Algorithm. “Companies like Google and Microsoft were far ahead.” They’ve been building intelligent software since well before Mark Zuckerberg announced plans to program an intelligent butler that would control his home. Microsoft, which has been working on machine learning since 1991, has several hundred scientists and engineers in dozens of research areas related to the field. Google Assistant, the centerpiece of that company’s deep learning efforts, is on the way to becoming the front-end brain for most of its apps and services. Chinese search giant Baidu poached the head of Google’s deep learning project, Andrew Ng, back in 2014. OpenAI, a nonprofit, has $1 billion in funding from Tesla founder Elon Musk and other tech heavyweights. Amazon CEO Jeff Bezos, speaking at the Code conference, said his company has been working on AI behind the scenes for four years and that it already has a thousand people dedicated to its voice recognition ecosystem. Apple and Uber have also invested heavily in artificial intelligence, and are competing to attract the same pool of talent. All of this is riding on a wave of striking innovation in the field, some of which came from LeCun himself—widely considered one of the most accomplished scientists in the field—during his pre-Facebook days. And Facebook has rapidly gone from not having a formal research lab of any kind to housing two of them. Facebook’s Artificial Intelligence Research program (FAIR), headed by LeCun, focuses on fundamental science and long-term research. 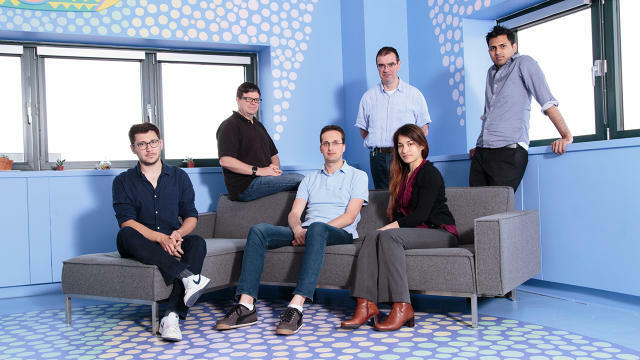 Then there’s the Applied Machine Learning (AML) division, led by Spanish-born Joaquin Candela, a longtime machine learning expert who, among other things, created a course on the topic at the University of Cambridge. His team finds ways to apply the science to existing Facebook products. At Facebook, they not only sit next to one another but near the very top of the organization—just feet from Zuckerberg’s and Schroepfer’s offices, in fact—a sign of how valuable AI and machine learning has become to the company. But just because you sit next to someone doesn’t make the task of capitalizing on deep science any easier. To understand how LeCun and Candela plan to make it work, you have to first understand where LeCun and Candela came from. There’s a big blue thumbs-up logo taped to the front door of Yann LeCun’s office in the computer science department at New York University. LeCun, one of the world’s foremost experts in deep learning, didn’t put it there. Wearing a navy blue polo shirt with a small image of Einstein stitched above the word “THINK” on a recent Wednesday, he laughs and says that when it was announced two and a half years ago that he was joining Facebook, someone put it there, and he just never took it down. LeCun, 55, is still a part-time professor of computer science at NYU, which is located just steps from Facebook’s posh Big Apple digs. You’d never pick him out of a crowd as the one spearheading the massive AI ambitions of the world’s largest social networking company—yet he’s also the kind of guy whose first ride in a Tesla sedan was with Elon Musk. If you’ve ever deposited a check using an ATM, then you’ve probably seen LeCun’s research at work. As one of the fathers of a branch of deep learning known as convolutional neural nets, LeCun is a celebrity in the world of AI. That’s because ConvNets, as they’re sometimes called, are today considered the building blocks for developing scalable automated natural language understanding and image recognition tools, and even voice recognition or visual search systems, all of which are immensely valuable to Facebook, Google, Baidu, Microsoft, and others. LeCun’s work in the field focused on models that aimed to replicate the way living beings’ visual cortexes work. LeCun was given broad freedom to build FAIR as he saw fit, adding people and bringing structure to a group of about a dozen AI researchers in the U.S. that pre-dated him. There was plenty of rationale for Zuckerberg and Schroepfer to grant LeCun that freedom: He’d spent 14 years at Bell Labs and developed a sense for what worked, and what didn’t, and had been thinking all along about how he would set up a new research lab if given the chance. The key to success, he believes, is a dedication to openness. LeCun’s dual lives in industry and academia are grounded in a philosophy dictating that researchers publish their work for all to see, speak at conferences, interact widely with academia, and post code to open-source repositories like GitHub. “I’ve seen lots of my friends join [big tech companies] coming from research labs that had a culture of openness and try to change the culture of the company and completely fail,” says LeCun. One of the first questions he asked before joining Facebook was about its commitment to the open-source world and a culture of openness. He also wanted to nail the balance between doing research and translating that work to product. Many tech companies, he felt, had trouble figuring out how to do that without the researchers losing their focus. Perhaps the most notorious example is the work done by Silicon Valley’s legendary Xerox PARC on the graphical user interface, which Apple applied to the Lisa, and then the Macintosh, after Steve Jobs’s famous visit in 1979. One model LeCun had seen fail was called “hybrid research,” where scientists are embedded in engineering groups. That usually stunted their creativity. Another involved hiding researchers away in an ivory tower with little communication with the rest of the company. That was good for stature, but little else. Under LeCun’s direction, FAIR launched in December 2013 with a focus on long-term problems in artificial intelligence and machine learning. Facebook knew that to achieve both the short-term and long-term benefits of his team’s work, it had to have some scientists and engineers that work on developing new techniques that will impact the field years from now, while others focus on impacting current product. Perhaps 70% of the group’s work is research, LeCun estimates, while 30% is near-term development. The group’s goals are ambitious: teaching machines common sense—in essence giving them the ability to learn the way a baby or an animal does, for example. FAIR’s biggest project right now, LeCun says, is natural language understanding for dialogue systems, which will be the basis of Facebook’s intelligent voice assistants. It’s already evident that every major tech company wants to be the leader when it comes to voice assistants. The most famous example is Apple’s Siri. But Microsoft is in the game with Cortana, Amazon has its Alexa, and then there’s Viv, the brand-new project from the team that built the pre-Apple Siri at SRL International. Facebook has its own plans for intelligent voice assistants, like its year-old effort, M. And AI is at the heart of it because in order for a system to actually make a difference to users by successfully answering just about any question, it has to have common sense, LeCun argues. “That means, how do we get machines to learn just by observing the world,” he says, “as opposed to being trained to [explicitly] recognize tissue paper, cars, cell phones” and other things. Today, the technology doesn’t exist to give machines common sense. The solution, LeCun believes, isn’t to solve the problem by attacking it directly. Instead, you have to figure out how to get machines to understand text, and that in turn means teaching machines enough background knowledge about the world that they can understand it. A machine doesn’t understand that, and getting to that level of understanding is one of FAIR’s long-term goals. Achieving the ability to have that sophisticated common sense and text understanding would impact not just voice assistants but also automatic language translation, a feature Facebook considers crucial as its user base grows internationally. But first, he’ll need to make sure that the work his team is doing at FAIR gets translated and communicated to the people sitting just a few feet away. Sitting in Facebook’s Frank Gehry-designed headquarters, Applied Machine Learning chief Joaquin Candela is dwarfed by a massive box overflowing with giant stuffed animals. Unfazed when no conference room was available, the bespectacled 39-year-old didn’t blink at the notion of taking the conversation to a pair of forgotten couches in a dark, abandoned corner of the otherwise bustling, light-filled building. When it was time to rush off to a meeting with Schroepfer, Candela graciously offered to carry a reporter’s recorder and keep talking during the long walk to the CTO’s office. AML’s goal is “to advance the state of the art for maximum product impact” and to be “the glue between science and research and product impact.” Developing better algorithms for ranking feeds, ads, and searches, language translation, speech recognition, generating automatic captions for videos, and natural language understanding are all areas in which AML is trying to actively improve Facebook’s bottom line. When he was asked to start AML, Candela—who had been a Facebook engineering manager running a team that built machine learning infrastructure—wanted to avoid the mistakes he’d seen other applied research labs make. “I’ve just seen things done that led to sub-optimal transfer of science to engineering,” says Candela, a veteran of five years at Microsoft Research and Germany’s famous Max Planck Institute. That included the mistake of having the labs be too disconnected from engineering, or indulging a culture where the researchers aren’t focused on goals connected to impacting product. Despite the differences in what they are working on, both Candela and LeCun agree that a dedication to openness will lead them to greater success. CTO Schroepfer agrees, and is quick to quantify some of the ways the company has practiced the philosophy. Along with open-sourcing its hardware and data centers, he says Facebook engineers have published more than 10 million lines of open-source code, and that that there are 350 active GitHub projects in production. 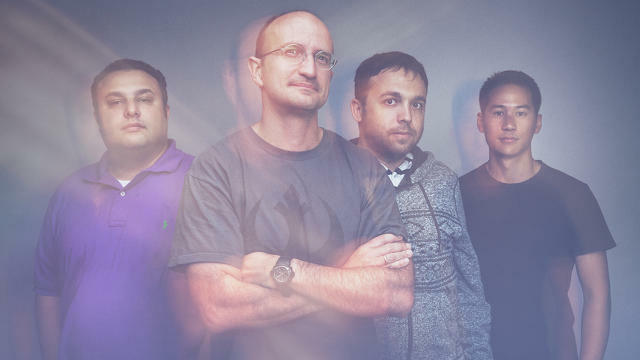 One of AML’s newest teams is computational photography, formed when Rick Szeliski and several others jumped ship from Microsoft Research last October. That team will focus on things like stabilizing videos, including 360-degree videos, helping people take better selfies, and organizing visual content on their phones. “Flow” is a word heard often at Facebook. Partly in reference to FBLearnerFlow, an end-to-end research and engineering pipeline created by AML that is something of a killer app for testing and sharing machine learning, albeit one that for the moment at least, is only used internally. It’s a repository where anyone at Facebook focusing on AI or machine learning can post their work for other engineers to use in their own projects. That broad utility is why Flow is already being used by a quarter of Facebook’s engineers, not just the ones in AI. Flow is also a perfect representation of how Facebook practices openness internally: Instead of siloing research, it’s made available for all to see. Facebook’s dual long-term and short-term research dynamic has earned it some respect in the A.I. and machine learning communities, but that’s no guarantee it will manage to succeed at fulfilling the kinds of 10-year visions loudly touted by Zuckerberg, Schroepfer, and company. There are plenty of ways it could fail, privacy issues being the most obvious one. As Facebook users realize the extent to which the company is analyzing their every post, their every photo, and burrowing its way further and further into their lives, they could begin to push back. New AI technology can interpret the content of photos and provide more context than was possible before. But there’s still a long way to go. But given how much emphasis everyone in leadership positions—LeCun, Candela, Schroepfer, and others—puts in the essential nature of being open, what happens if conditions change that convince those leaders to back off on the philosophy? The challenge, Bengio adds, is to install strong people—like LeCun, he says—as buffers between products people and research people, to make sure there’s not too much pressure to deliver short-term results. Even LeCun recognizes that the ground can shift without warning. It’s for exactly these reasons that LeCun and Candela have been so careful to construct their labs in ways they think maximize the potential for success. “The more you can be crisply clear on what an organization does, and the fewer things it is,” Schroepfer said, “the better it’s going to to that thing. So if you ask them to do 10 things, they’ll do three of them well, kind of, and the other seven terribly. So you’d better hope they picked the right three. Whereas, if you say this organization is here to do one thing, then you can really see how it’s doing. And we have basically two different problems to solve:” research for the future, and finding ways to apply it to product now. That means creating effective ways to share ideas across the organization. “The dream scenario, and it’s one we’re working toward,” Candela says, “is one where you can have this circulation…(AML) people who will join FAIR” and vice-versa. It’s already happening. Candela said Facebook’s facial recognition team was started at FAIR, and then moved to AML as its work became more relevant to product. As did the computer vision team, whose leader, Manohar Paluri, still straddles both groups. LeCun notes that plenty of infrastructure built by one group flows to the other. For example, the DeepText project the company just unveiled was a direct implementation by AML of work originally done at FAIR on trying to figure out how to classify text and understand text using ConvNets and other deep learning techniques. When they do make advances like that, Facebook isn’t interested in keeping them locked away where the rest of the research community won’t be able to see them. In the case of DeepText, that’s evidenced by an in-depth, explanatory post on Facebook’s open-source Code blog. Facebook’s 50th hackathon focused on four areas, but with Mark Zuckerberg’s urging, AI took center stage. Some might worry that there’s business risk in being open like this, but LeCun scoffs at the notion. Facebook gets the benefit of having outsiders work on their code, because if they’re good, Facebook can hire them. Or the company can simply adopt their improvements.